The STEM Girl Power Camp was held on 9–12 March, 2016 in Brisbane. Twenty-two high achieving Year 10 girls were assessed on their engagement and participation in leadership and STEM-related activities. Participants were selected from regions around Queensland, including Mount Isa, the Gold Coast, Bundaberg, Redcliffe, Malanda, Gladstone, Barcaldine and Townsville. These STEM girls travelled to Brisbane to participate in a range of events, including activities at the World Science Festival Brisbane. The twenty-two girls had the opportunity to meet a pioneer in science Sylvia Earl, and hear about her inspirational journey and her leading the first team of women aquanauts and setting a record for solo diving in 1,000-meter depth. She inspired the girls to explore their world and take steps to make a difference where they are. 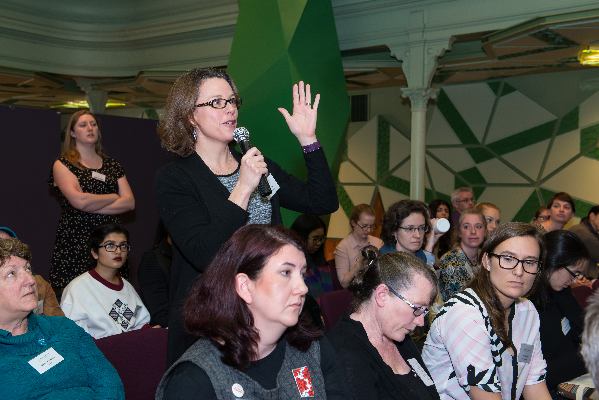 The girls were also challenged at the World Science Festival by hearing from climatologists, biologists, oceanographers that have gathered evidence about the Human Age – and what the implications might be as we imagine the future of our planet. Students also had the opportunity to participate in a SPARQ-ed lab experience and other World Science Festival sessions including To Infinity and Beyond and Mapping the Future. Most students said a highlight of their camp was the opportunity to network with scientists at the World Science Festival and the Diamantina Institute. Women in Science AUSTRALIA was excited to support the STEM Girl Power Camp by providing satchel materials (Careers with Code magazine and Tech Girls are Superheroes book) thanks to their collaborative Network Partners Refraction Media and Tech Girls Movement. These materials were highly valued tools that the girls took away with them to refer to, and share with their family and friends. Throughout the remainder of the year, these outstanding students will act as Ambassadors to encourage others girls and boys to participate in STEM. These students were inspired and guided along their pathway to support them in their lifelong journey in STEM. STEM = science, technology, engineering and mathematics. Sarah Chapman is the Manager of Global Tropics Future Project which involves setting up a STEM Hub for North Queensland. 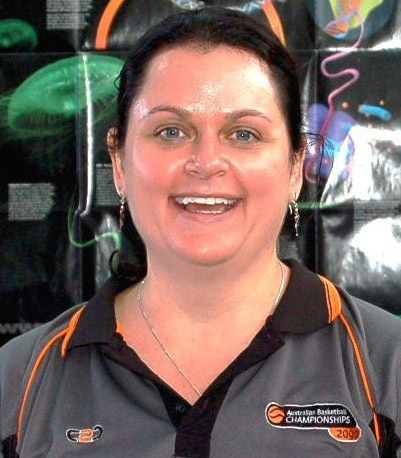 Prior to this she was Head of Department of Science at Townsville State High School, North Queensland and is in her thirteenth year of teaching. Sarah commits extensive portions of her own time lifting the profile of science by working with students, teachers and the broader community. She is passionate about enthusing and engaging people about the science. She became a STAQ member in 2008 and the STAQ Vice President in 2016. She is a partner of the QLD STEM StepUp committee. Sarah has travelled to countries like Japan and the United States of America to expand her knowledge, skills and networks in STEM education. Sarah’s work has been recognised with a prestigious Peter Doherty, Outstanding Teacher of Science Award in 2008 (Queensland Government) and an Australian Award for Teaching Excellence in 2009 (Teaching Australia). She also led a cluster of schools to be awarded the Commonwealth Bank of Australia Showcase Award for Excellence in the Middle Phase of Learning in 2009 (Education Queensland). In 2010 Sarah was awarded the James Cook University Alumni – Outstanding Early Career Award. In 2013 Sarah was acknowledged by being awarded the Prime Minister’s Secondary Science Teaching Prizes. In 2014 she was selected as a Queensland Government Science Champion. Sarah graduated from James Cook University with a Bachelor of Science with Honours Class 1 in 1998 and a Graduate Bachelor of Education in 2003.